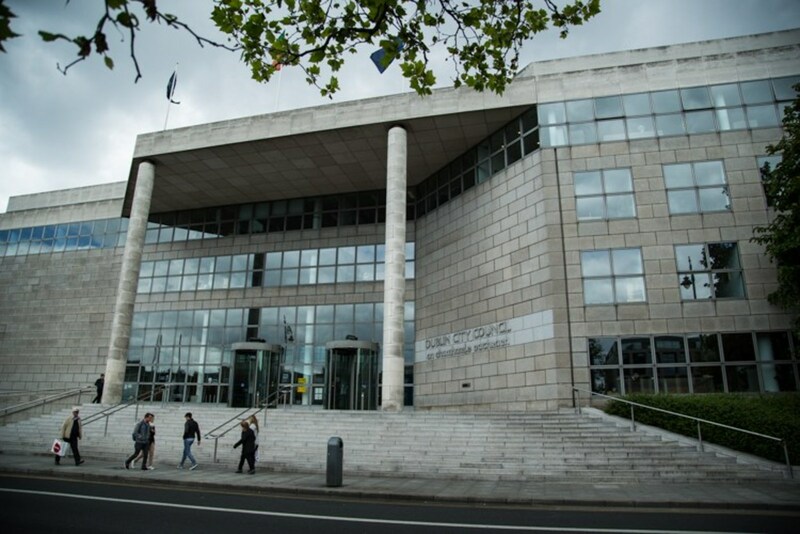 At a public meeting in the Civic Offices on Wood Quay last month, the TD Eamon Ryan of the Green Party, along with representative groups from right around the city, announced a new campaign. Called “Dublin Greenways”, it is one of the most exciting and imaginative ideas to hit Dublin for some time. 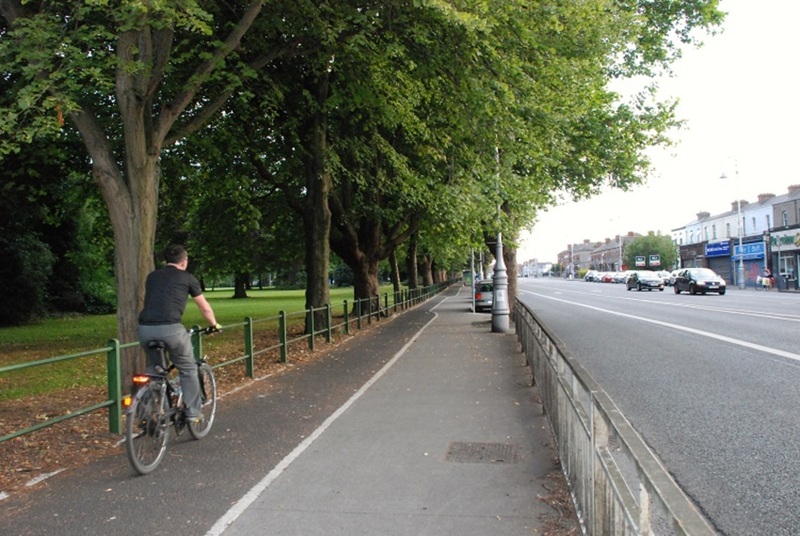 The idea of Dublin Greenways is to create a connected network of paths which would encompass the city, embrace nature and be entirely free of motorised traffic. The campaign is imaginative because it brings together a number of long-standing campaigns on several routes. On the southside, the Dodder Greenway, spearheaded by Ryan himself, has been actively pursued for some time and is entering design stages in some sections. 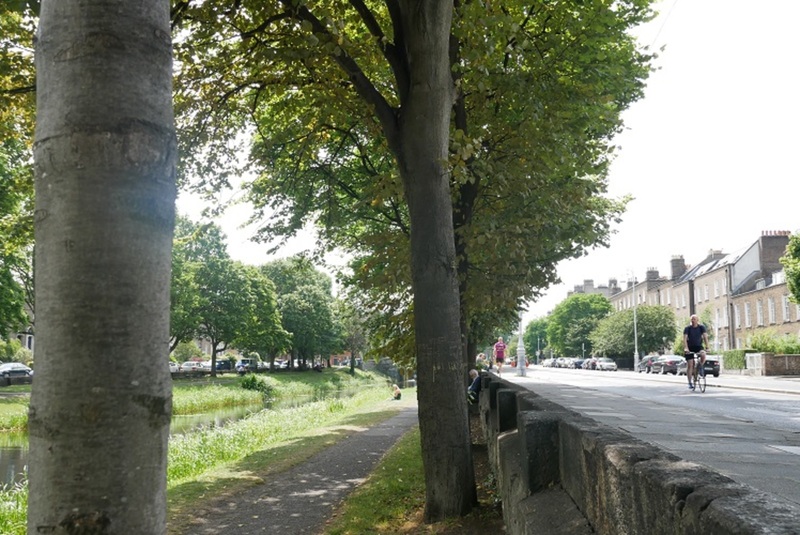 On the northside, the Northside Partnership believe the Santry River Greenway can bring economic growth and social benefits to neglected parts of the city and have done studies along with DIT. 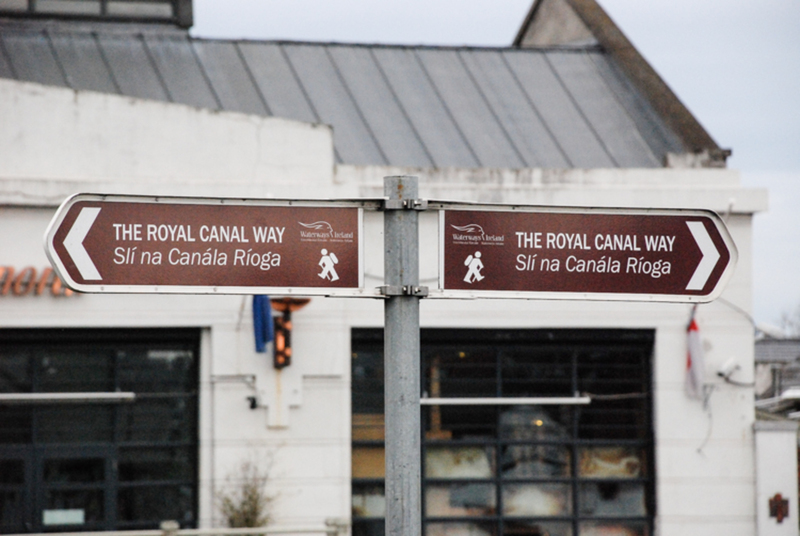 Dublin City Council only recently issued tenders for the construction of the Royal Canal Greenway from Sheriff Street to Phibsborough. The Liffey Quays Cycle Route has been going through much-discussed design iterations. Maybe the jewel in the crown is the Sutton-to-Sandycove route, being delivered (if in a piecemeal fashion) largely thanks to an admirably determined group of local people, active for over 15 years at this stage. Ryan believes that the whole is greater than the sum of the parts and that all these initiatives will work better together. He is right about this. The idea of a network is essential in transport and it brings freedom to those who can avail of it. Bringing all of the campaigns together creates new connections and possibilities. This leads to both innovation and integration and is, quite simply, good for everybody. Parts of the network – like the quays and the coastal route – are the very lungs of the city. Yet in their current state they are unsafe for people. Other parts traverse roads, built in the 1960s and ’70s, that sever communities and created, ultimately, a divided city. This went on everywhere in the world when it was thought that the city could be engineered using mathematical formulae. But the algorithms were limited and factored only vehicular traffic. The Green Party can’t be solely credited with the idea (and Ryan magnanimously offered his vision as a cross-party and open strategy for all to enjoin). The National Transport Authority (NTA) published its comprehensive Greater Dublin Area Cycle Network Plan in 2013, which sets out a ten-year strategy for counties Dublin, Kildare, Meath, and Wicklow. In the NTA plan, the greenway routes may not be the highest priority, nor even the highest volume-carrying routes for cyclists. But the greenway network offers much more than something for cyclists. It also goes way beyond commuting. Greenways are there for everyone. A greenway network, perhaps as much as anything else, can help to create a truly public city. There is an old idea – still well-used by geographers, planners and architects – known as the “mental map” of the city. The notion comes from a famous book, The Image of the City by Kevin Lynch, an urban planner and teacher in 1960s Massachusetts. Lynch’s book is a classic and is the main reason he is regarded as one of the pioneers of what we now call the placemaking movement. Lynch’s idea was to ask people to simply and quickly draw, from memory, a map of their city. What they produced was usually very different from the literal, topographic map, but Lynch figured that it told us more about the city and how to interpret it, than any ordnance survey could. If Dubliners were asked to produce their own mental map (and this is a popular exercise in the DIT and UCD architecture and planning schools) it could look remarkably similar to the Dublin Greenways map. Nearly always the first things to get drawn are the Liffey and the Dublin Bay outlines. While many sketch the Phoenix Park next, the Royal and Grand canals are seldom far behind. If pushed a little, they could easily add the Dodder, Tolka, and Santry Rivers. The Dublin Greenway network is the natural geographic image of the city no less. Dublin City Council will host the Velo City conference in 2019. The Dublin Greenway network is one area where Dublin can lead, simply by looking to the shape of its own city and working with that. Perhaps only the Atlanta Beltline is comparable in ambition and scope. The beltline is a transformative and regenerative idea for a community park encircling Atlanta City. It originated as a student project idea and was driven to fruition, successively, by mayors Shirley Franklin and Kasim Reed. But the Dublin Greenways will only be a success if seen as a multi-faceted community resource, more than about transport. Greenways are about health, biodiversity, nature, social interaction (connecting communities and creating employment), culture, and heritage. Unfortunately, our Department for Transport, Tourism and Sport appears to see things slightly differently. A recent consultation document on the development of greenways emphasises the economic, tourist potential of greenways and is really about rural economic development. Nothing wrong with that in the least. But in the department’s document, Dublin is categorised and dealt with under “Other issues”. 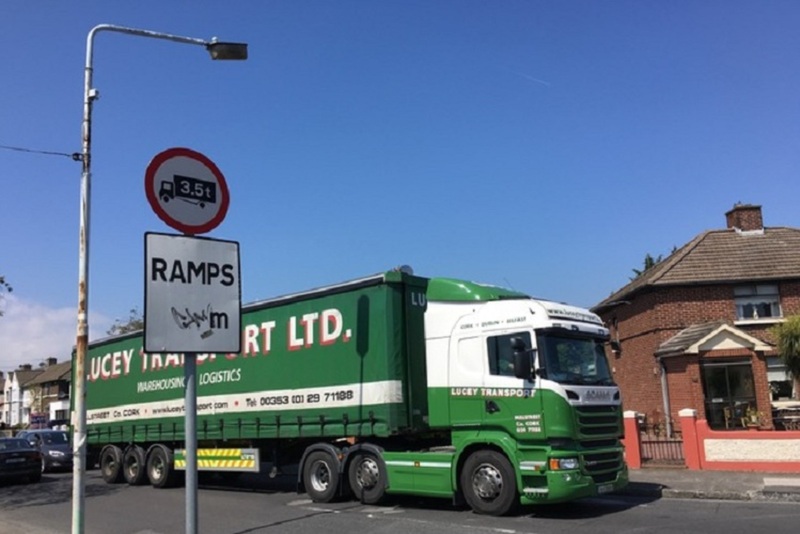 This is even while their own Economic and Financial Evaluation Unit has estimated that the cost to the whole economy of congestion in Dublin will rise to €2 billion by 2033. All of the Dublin Greenway routes are either offline or themselves active traffic-management devices. They would be a good place to start addressing those congestion costs. Eamon Ryan thinks that the way to deliver his visionary concept may be through the setting up of a Greenways Project Office, or some kind of dedicated entity. The success of one urban greenway project on this island, the Connswater Community Greenway in East Belfast, suggests that this might indeed be the way to go. In a part of the city where police once advised people not to go, now tourists arrive, eager to see its new C.S. Lewis sculpture trail or to go “down in the Hollow”, where Van the Man met his Brown-eyed Girl. The Connswater Greenway, now completed, links neighbourhoods and provides an amazing community resource. It was delivered by a Trust and Oversight Group of community, council and government representatives and was properly financed by the UK government. The Atlanta Beltline too is steered by a city-backed partnership and the emphasis is on community development and regeneration. Dublin Greenways is well worthy of investment. It is vital that the right approach to delivering it is found. It is a chance for Dubliners to rediscover their city, and, once discovered, find that it can be both a healthy city and a public city. You don’t need to look as far as Atlanta. London has an orbital walkway extending for 240 km around the city. Known as M25 for walkers. Build commenced 1996 completely 2001. What’s the odds we’ll still be discussing Dublin Greenway plan in 10 years time? A thoughtful article on how a City can grow and be perceived, and there is no doubt that Greenways can and do make a major impression of how cities can be made more people friendly! It is interesting that the ‘concept’ of a Greenway Network’ for Dublin City is being ascribed to Eamon Ryan TD, when it has long been an aspiration of the NTA, Dublin City Council, and other Dublin Local Authorities! In fact if one examines the present ACTIVE cycling related projects on Dublin City Council’s planning books, the majority are Greenways, or Green Routes, such as S2S, Royal Canal, Dodder and Liffey. The only other major cycle route under development is the North Strand Route, which is a critical cycle commuter link, and which is causing controversy. Just for information the concept of a cycle/greenway link between the Royal and Grand Canals, via the Phoenix Park was first mooted by the OPW and Dublin Cycling Campaign, as a logical link, bridging both canals, and taking in many historical sites on the way. This was also prompted by the original 1920’s plan to erect a pedestrian bridge (the Lutyens Bridge) between Phoenix Park and the Memorial Gardens, over the river Liffey and Conyngham Road, and development of cycle tracks within the Phoenix Park. It is great to see this idea now being promoted by Waterways Ireland. There is no doubt that development of these routes has been hampered by a dearth of government funding for ‘green projects’. It is to be hoped that the forthcoming mid term capital spending review will allocate serious money to this neglected area of transport infrastructure. Oh!….by the way…..has everyone forgotten about the Tolka River Greenway!? Why can’t Dublin just get these things done? We’re experts at reports and consultations. Dublin City Council need to bite to he bullet and start getting things done. The Part 8 Publin Consultation on the Dodder Valley Greenway is open until mid-August 2017. See [http://www.sdcc.ie](http://www.sd… "") Please send in your comments before the deadline. Dodder Action, Tallaght Community Council and Knocklyon Network are working on a Joint Submission. 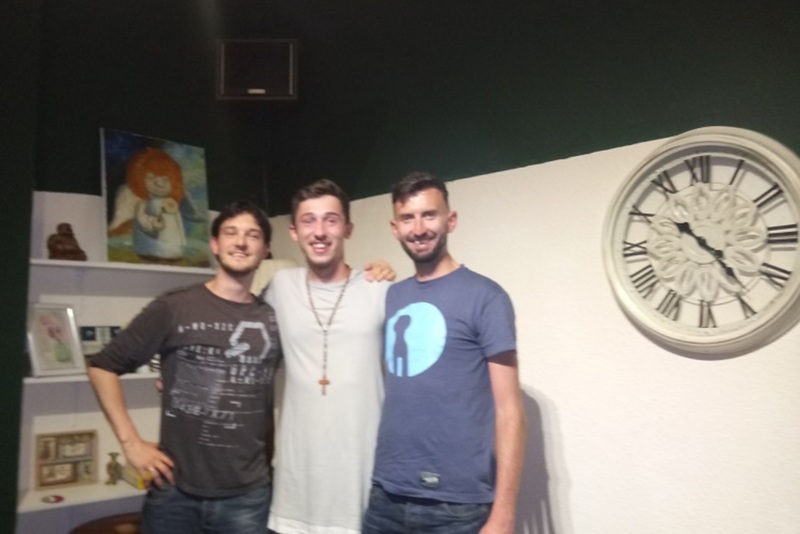 Great to see, best of luck to you all. I just came across the proposal for the Santry River greenway today and the plans for an urban farm in St Annes park.. Best of luck. Vision: To create the botanic spine, an 18km orbital eco corridor/ greenway for dublin city. A green thread that connects up a series of pocket parks, organic food gardens, local amenities, cities waterways and a new city metro underground.